You get great textures in your digital painting. The flesh has a marvelous transparency to it. really beautiful work. Thanks John...it always helps when you're able to find a quality hi-res reference photo! Great -a lot of subtle work on this! Thanks neighbor...your kind comments are much appreciated!!! Wow, this is too awesome! 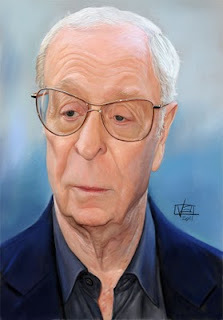 Puts my Michael Caine portrait to shame :) Great piece! Many thanks for that very kind & over the top comment Sam...all the best!!! This is incredible. You a pioneer in this medium. You're an inspiration to artists like me who work digitally. That is very kind of you...many thanks!! !